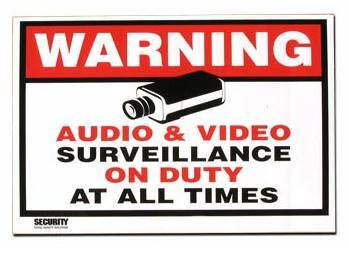 Surveillance warning sticker, can be used with security cameras, dummy security cameras or alone as an added measure of deterrence. Easy peel and stick laminated decal. Measures 5-3/4" x 7-1/4"